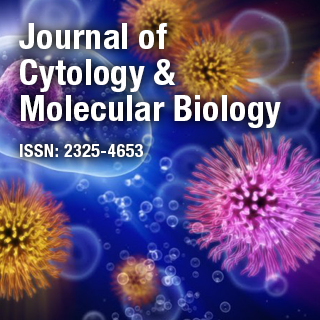 Journal of Cytology & Molecular Biology (JCMB) provides Annual publication of articles in all areas related to Cytology & Molecular Biology. Journal of Cytology & Molecular Biology is an international, online Open Access peer reviewed journal which not only encompasses all the basic, current research and technologies in the fields of cell and molecular biology but also emphasizes the interrelationship between structural, functional, biochemical and organizational aspects pertaining to living organisms. Dr. Ulhas P. Naik, Director of Delaware Cardiovascular Research Center, University of Delaware, USA. His research focuses on understanding the role of cell adhesion molecules in regulating cardiovascular diseases and cancer and alsointerested in signal transduction pathways regulated by integrins & junctional adhesion molecules.